Make room, Wellington and Ocala. 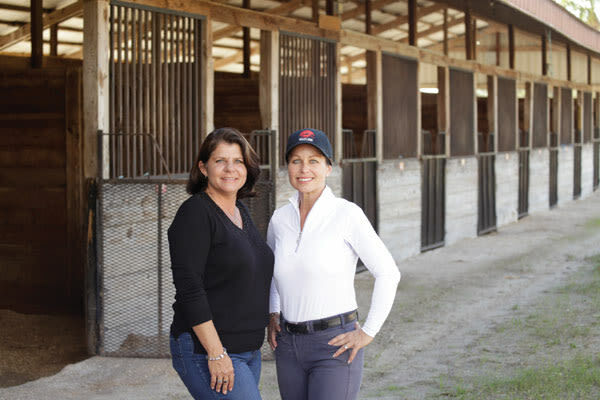 Thanks to family-run Fox Lea Farm, over the past three decades Venice has been quietly, steadily rising in the standings as a Florida equestrian mecca. Hosting horse shows more than 40 long weekends per year, Fox Lea Farm draws participants, spectators and vendors who annually pump more than $75 million into the local economy. Only Baltimore Orioles spring training and Nathan Benderson Park generate more sports tourism in the county. Now the farm has won approval from the exacting United States Equestrian Federation (USEF) to launch a six-week winter circuit, the Venice Equestrian Tour, an expansion that will test whether Fox Lea can lure some of the country’s fiercest competitors without losing its down-home soul. “It’s going to raise the game of the whole facility,” says operations manager Kim Aldrich-Farrell, 42. Tanned and relaxed, in a sequined skirt and boots, she’s of a piece with the comfortably cluttered office at Fox Lea. Visitors can flump on one of the loveseats and reach for The Plaid Horse in a stack of magazines. Fox-and-hound scenes hang on the wall, and tall cabinets display trophies and tightly packed mugs, frames, shirts and gewgaws that young riders can “buy” with their blue ribbons. Aldrich-Farrell glances at her friend and PR director, Laurie Birnbach, who has just explained that the farm has to front all the costs for the fledgling circuit, including more than $32,000 in prizes for each of the six weeks. They gulp. And then they burst out laughing. Aldrich-Farrell’s mom, Linda Aldrich, created Fox Lea Farm out of love and frustration. She and husband David, a surgeon, had moved from New York in the 1970s with son David Jr. and baby Kim. By age 4, Kim was riding ponies, and two years later she was training and showing. As Linda, a former physical therapist, traveled to events with her daughter, she was appalled by the facilities—dark and dirty barns, stalls without doors, rings with poor footing. On behalf of the miserable moms and vulnerable horses, she vowed to build a place where kids could compete safely and joyfully. In 1983, the Aldriches bought 46 acres along Auburn Road. According to Aldrich-Farrell, her mom learned the business from scratch, enlisting technical help in designing barns, constructing rings, and running events. In December 1984, Fox Lea Farm mounted its first USEF-sanctioned dressage show, and by the end of the decade it hosted its first international event. Even as Fox Lea Farm gained recognition as a professional equestrian venue, the atmosphere remained low-key, with a focus on the family experience. Children’s events with $250 purses run on the same weekends as a $25,000 National Grand Prix. Girls in fawn breeches and tall boots, hair braided with ribbons to match their horses’ manes, mingle with a mixed-age crowd roaming around the farm. For $5, anyone can come watch, parking included, payment on the honor system. Bradenton mom Jessica Randall showed horses at the farm as a teen, and when her daughter started walk-trot dressage with ponies, she was happy to return. “They make it fun for the kids,” she says. “At Thanksgiving there’s a huge potluck dinner. On Valentine’s Day, the kids do arts and crafts in the pavilion. On Halloween, they paint pumpkins.” In summer, certain shows double as camp, with activities ranging from fishing to dress-up. Aldrich-Farrell rode junior events while her mom grew the farm, which came to host Appaloosa shows, American Quarter Horse circuits, and the dressage and hunter-jumper events many Americans recognize from the Olympics. Jumpers Devita compares to NASCAR, with riders pressing their mounts to clear the rails with speed. Hunters are closer to pair figure skating, with judges awarding points for grace, form and athleticism. After majoring in marketing at Stetson University, Aldrich-Farrell returned to Fox Lea as an all-around helper while she completed an M.B.A. at Florida Gulf Coast University. Her apprenticeship then turned into a full-time job. Like conventions, horse shows require masterful logistics. For revenue and prize money, organizers court sponsors, exhibitors and vendors, who book spots on the promise of a good crowd. Those participants and spectators need room and board. With more than 250 permanent stalls to rent, and additional space for temporary stabling, Fox Lea Farm can accommodate the equine members of the team, with room for attendant trailers and equipment. But the human entourage depends on nearby hotels and restaurants. Then the staff has to orchestrate the main event—events, actually, since Fox Lea Farm has four sand show rings, a 30,000-square-foot lighted covered show arena, warm-up rings and a grass grand-prix ring, one of only a half dozen in the United States. The farm also operates a café that seats 70. Every show weekend Aldrich-Farrell supplements her full-time staff of five to seven with about 30 more contractors armed with walkie-talkies: schedulers, officials, farriers, EMTs, vets and maintenance workers. Vendors begin arriving on Wednesday, and shows usually wrap up on Sunday, when the muckers get to work. “It’s like turning over hotel rooms,” she says. Launching the Venice Equestrian Tour, which runs from the end of January to the beginning of March, is a calculated gamble. In granting Fox Lea Farm the dates, the USEF has agreed that the sport can support what PR director Birnbach calls a “boutique circuit” for 500 to 700 horses. More intimate and affordable than Wellington, Venice will attract “showcationers” who want to combine turf and surf. Aldrich-Farrell agrees. Once she can afford to, she’ll lay down all-weather turf. Also on the improvement list: wide-ranging Wi-Fi, which Comcast estimates will cost $44,000. This first year of the winter circuit, Aldrich-Farrell and fellow equestrian-mom Laurie are hoping for 300 to 400 horses—and enough available hotel rooms and rentals. Last February the farm had to cancel one show since competitors ran up against “No Vacancy” signs. Fox Lea Farm must create a successful spiral: attract the vendors and sponsors to raise the purses to entice the competitors to draw the crowds to spur the hoteliers to develop the infrastructure to support more vendors, prizes, competition and spectacle. “Our job at this point is to build relationships,” Aldrich-Farrell says. Although Fox Lea Farm has never hidden its light under a bale of hay, its events are better known nationally among the horsey set than locally among neighbors. To strengthen community relations and generate buzz, the farm is inviting the public as well as participants to weekly Friday Night Lights during the Venice Equestrian Tour. For the usual $5, families can stroll the grounds, enjoying live music, bounce houses, food trucks and horsemanship as riders and their mounts leap 5-foot fences in pursuit of a $25,000 prize. Interested? 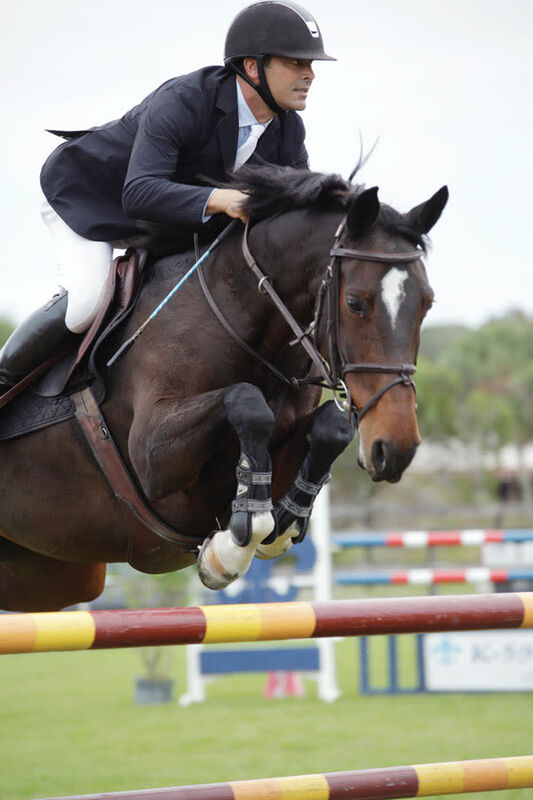 To learn more about Fox Lea Farm, including horse show schedules, go to foxleafarm.com or call (941) 809-6365.